Branding of a cafe in the center of Historical Downtown New Bedford, Massachusetts. The Green Bean environment is bright, quirky, and inspiring. This fun and relaxed restaurant attracts local artists, students, and workers so I have created a brand that motivates and excites these customers throughout the day. 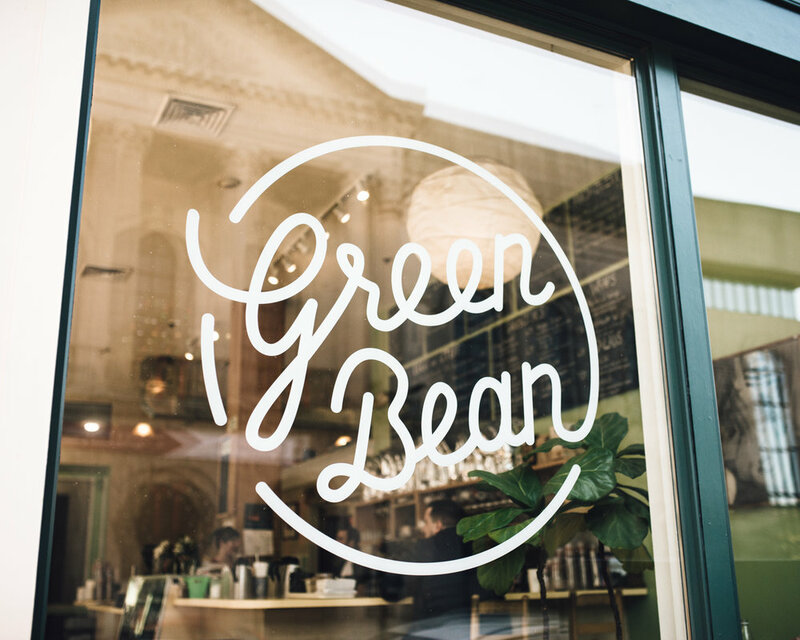 Green Bean’s updated logotype pays tribute to the liveliness of the space as well as the baristas exciting personalities. By developing print collateral such as menus, stickers, stamps, and friend cards the cafe has expanded the already built customer base as well as giving a new look to the corners windows.